ONLINE REAL ESTATE AUCTION!! This single family home in Wood River, IL is being offered at online auction. This home features 4 bedrooms, 2 full bathrooms, a sunroom and a cellar style basement, all on a 50âx120â lot. Being sold as/is. Call today with questions or to schedule a showing. Terms and conditions apply and can be found on the auction portal, or ask your real estate agent for more info. 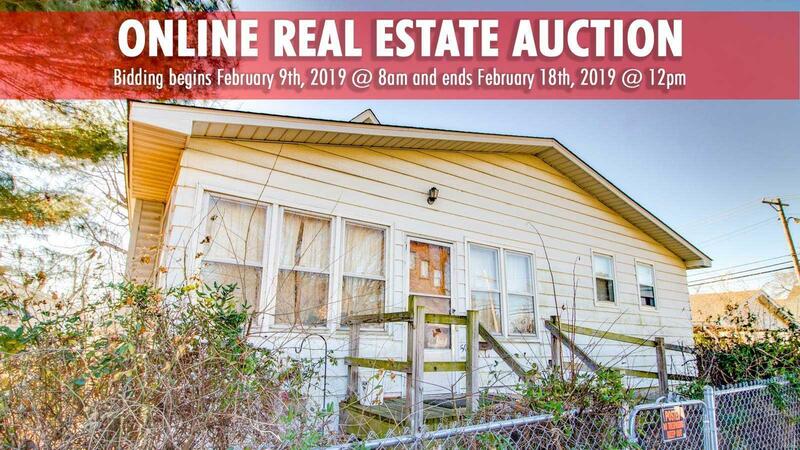 BIDS CAN ONLY BE SUBMITTED THROUGH THE AUCTION WEBSITE FROM 8 AM FEBRUARY 9TH, 2019 THROUGH NOON FEBRUARY 18TH, 2019. Buyer and buyer agents to verify all information.